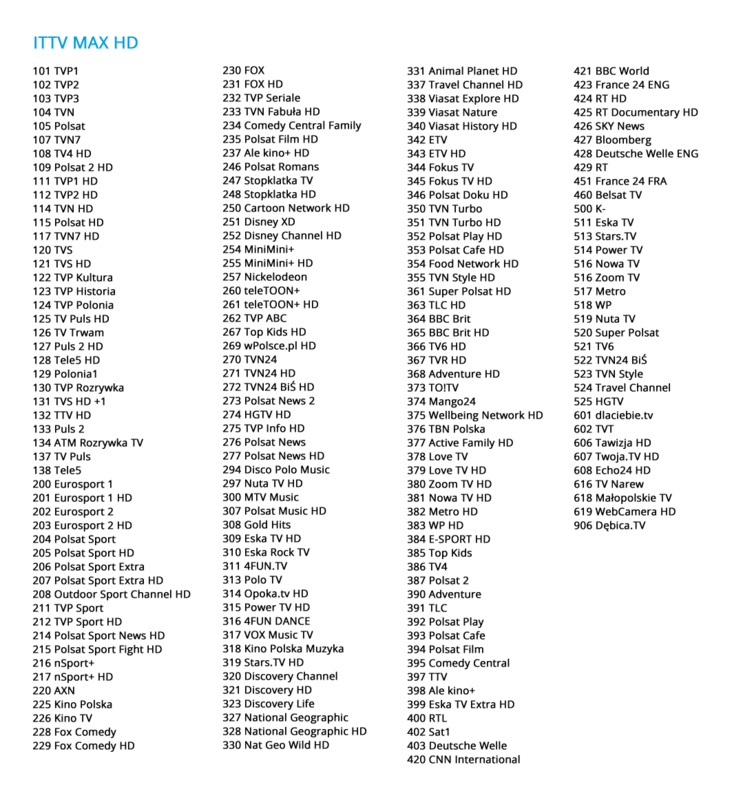 IP TV - watch what you want, the way you want, whenever you want. IP TV is an interactive television, based on a specific type of communication between the broadcaster and the subscriber. It is possible thanks to development of as many as three information transmission channels. The only thing you need to use the service is high-speed Internet access. Three dedicated decoder models, which have been implemented to cooperate with our platform – MAG 250/255, Arris 1113 HD, Arris 2853 HD – equipped with proprietary SGT software, warrant problem-free operation for years and flexibility in adapting to the needs of our Customers. 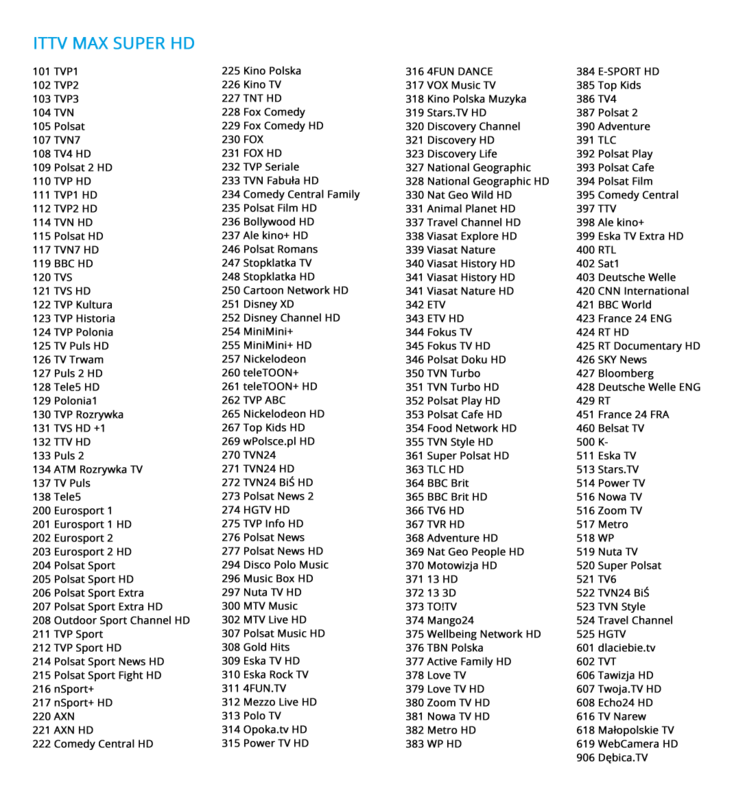 What makes IP TV different? Makes it possible to watch digital television simultaneously from two or more TV sets. The service does not cause any changes in quality of the signal received and the number of channels. Every decoder offers exactly the same digital television package, chosen by you. Thanks to the video-on-demand service, you can watch whatever you want, whenever you want – blockbusters, documentaries, concerts or the best television series – regardless of the current television schedule of the channel selected. It offers you a possibility of watching JAMBOX television channels, using such devices as PC computers, laptops, tablets and smartphones. 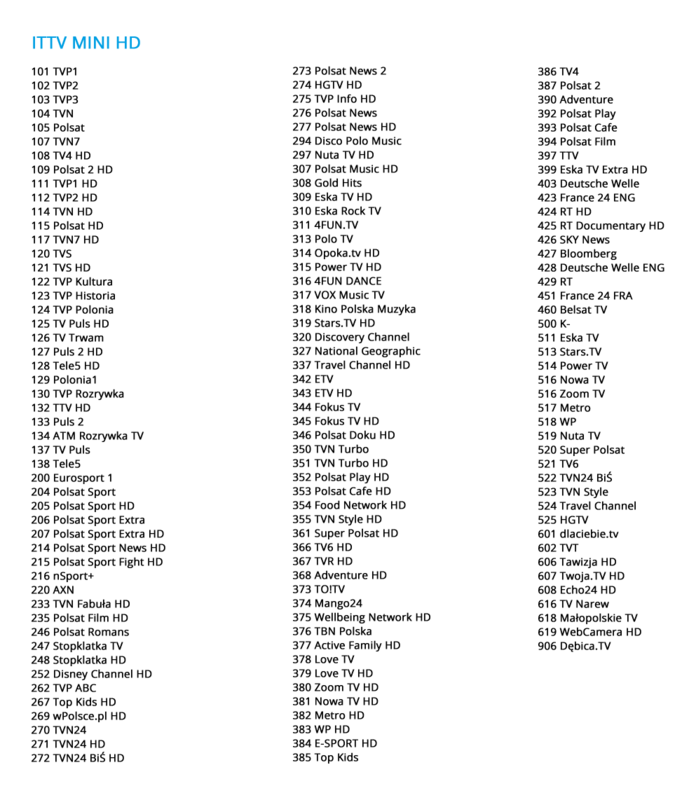 Our on-line cable TV is sort of like a digital multi-room, but available to screens other than a television screen. A unique way of ordering additional television packages and services using your remote control – without having to call a consultant or click on the Web page.